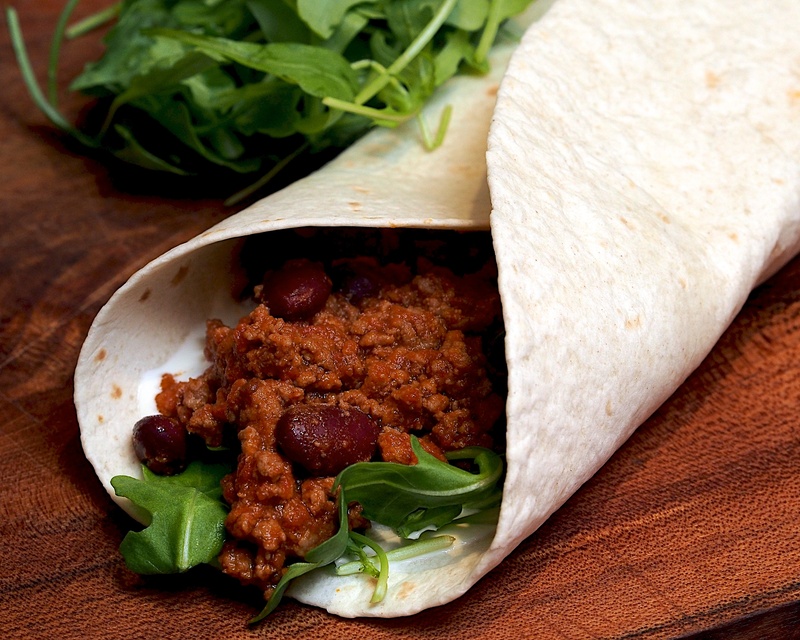 This is a doddle to whip up after work and it’s not a bad chilli for very little effort. Serve in warmed tortillas with some rocket and sour cream or in a baked potato. Fry the mince in a non-stick pan until well browned. Pour in the sauce, then fill the empty jar about a third full of water and rinse out into the pan. Bring to the boil then simmer for about 15 minutes, stirring occasionally. Drain and rinse the beans before adding to the meat and heat through for about 5 minutes or until the beans are hot and the sauce is thick.